We have 1 x 30m Edelrid Tower available on special offer in the Aqua/Blue colour. 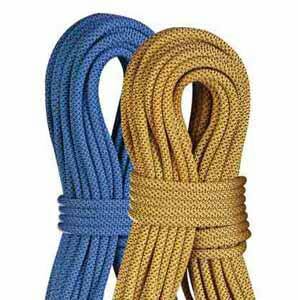 A life in the gym is not easy but with the special core construction this rope is extremely flexible and robust making it well prepared for a life as a top rope and for the extremely dry and dusty conditions at a climbing wall. The special construction reduces the hernia like ruptures that can occur due to excessive top roping. 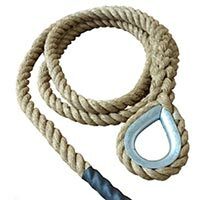 With the Beta Shield and Thermal Stabilisation treatments it still maintains the traditional characteristics of an Edelrid rope, suppleness, good handling, and abrasion resistance. This rope is allowed outside too. 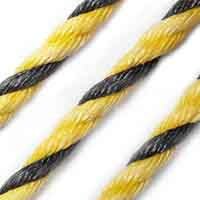 Depending on the usage not all ropes need a DRY treatment whereas abrasion protection is important to all performance ropes. BETA Shield provides a high quality yarn protection coating helping to keep dirt and other harmful substances off the rope yarns at the same time giving the rope a resilient protection against rough surfaces.